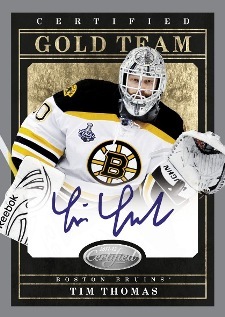 2011-12 Panini Certified Hockey kicks off the premium hockey card season with two autographs and two memorabilia cards in every box. The one-per-box Freshman Signatures rookies feature on-card autographs. Big Pulls that have an autographed jersey swatch that can be slid out for better viewing. Every eight-box hobby inner case promises a Hot Box with extra hits and parallels that replace the base cards. Current and former stars providing on-card signatures include Don Cherry, Alexander Ovechkin, Ryan Miller and Felix Potvin. Freshman Signatures feature on-card autographs. 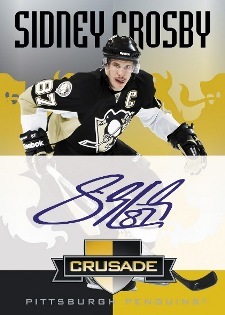 The program also includes short prints of 2011-12 NHL rookies and Freshman Fabrics Signatures (/499). 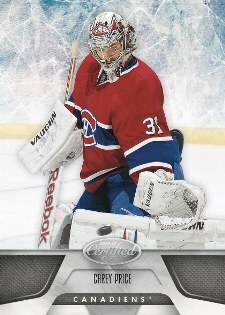 Joe Colborne, Cody Hodgson and Blake Geoffrion are among the confirmed rookie cards for the set. Big Pulls memorabilia cards include an autographed jersey swatch that can be slid out to reveal the entire swatch. Fabric of the Game Die-Cuts come with new patterns highlighting players' positions and home countries. Soft Hands is a new memorabilia set featuring pieces of game-used gloves. Hot Boxes filled with Totally Certified Parallels and extra hits fall one in every eight-box inner case. 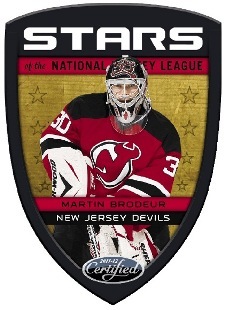 New insert sets include Certified Gold Team and Stars of the NHL Die-Cuts. 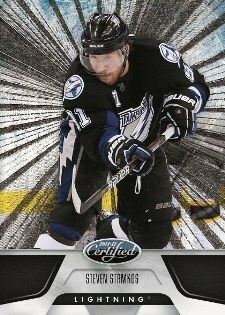 Due to a production error, no base cards of Derek Stephan were produced. Instead, Totally Silver parallels were inserted in packs. Other Totally Silver parallels are exclusive to hot boxes. Loved it last year and i love it again this year. Both my boxes had die-cut number jersey & auto’s /25 on top of each having another die-cut jersey /25. No Rookies yet but i’m not complaining. Overall Nice design, Great Sub-sets and even though it’s only 10 packs it’s pretty fun to open. It seems like you always walk away with something or maybe i’m just lucky with it. 2011-12 Certified Factory Sealed Hockey Hobby Box Ryan Nugent-Hopkins AUTO RC?